Education is learning the knowledge, skills and habits of a group of people who are passed down from one generation to the next through teaching, training, or research. Education often takes place under the guidance of others, but also allows self-taught. The etymology of the word education itself comes from the Latin word ducare, meaning “to guide, direct, or lead” and the prefix e, means “to come out”. So, education means the activity of “leading out”. Every experience that has a formative effect on the way people think, feel, or act can be considered education. Education is generally divided into stages such as preschool, elementary school, secondary school and then college, university or internship. Education in Indonesia is all education held in Indonesia, whether structured or unstructured. Structurally, education in Indonesia is the responsibility of the Ministry of Education and Culture of the Republic of Indonesia (Kemdikbud), formerly the Ministry of National Education of the Republic of Indonesia (Ministry of National Education). In Indonesia, all residents are required to take compulsory basic education for nine years, six years in primary / madrasah primary school and three years in junior high school / madrasah tsanawiyah. At present, education in Indonesia is regulated through Law Number 20 of 2003 concerning the National Education System. Education in Indonesia is divided into three main lines, namely formal, non-formal, and informal. Education is also divided into four levels, namely early childhood, elementary, middle and high. As reported by several sources, education is something that must be fulfilled by children, even adults. Therefore education for children should be the most part given extra strictly by parents. With the right education pattern, it should be the character of the child during the learning period when he was little. School is a place to get knowledge for children, so that the teacher will become the second parent in providing early character education. Schools that have a primary focus on child character education, can now be obtained in Batam, Riau Islands. School named Ansvin Academy with a curriculum composed of United States education. ACE or Accelerated Christian Education, also known as the School of Tomorrow, is the curriculum used by Ansvin Academy. Ancient times was the development of a Bible-based Christian education developed by Mrs. Howard and Dr. Donald in 1973 the United States grew to 145 countries around the world. Until 1976, New Zealand and Australia also developed into Indonesia and also the South Pacific Region. 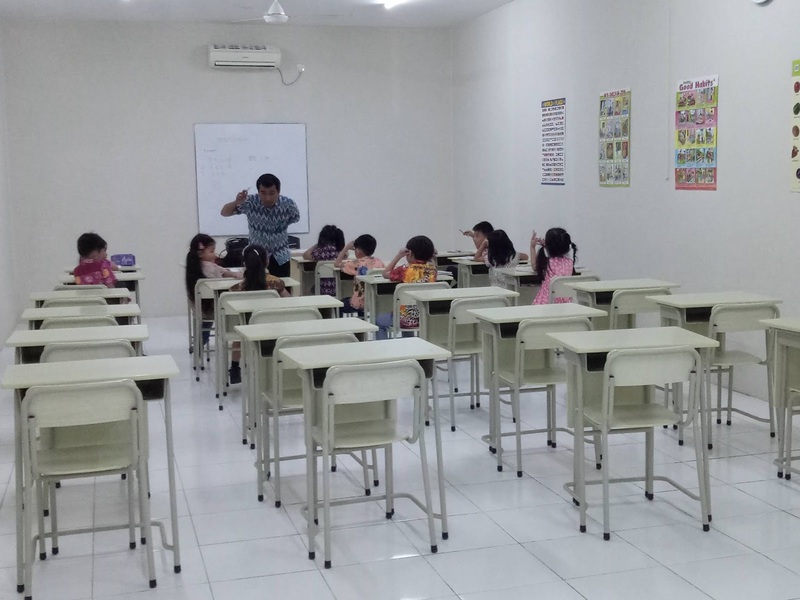 Ansvin Academy is one of 42 schools in Indonesia that uses this ACE learning method. PACE or Packeted of Christian Education / Christian Education Package, which is implied and formed from the values of the Book and is expected to build and also help in the development and strengthening of children’s character from an early age. Exclusive Class or classes opened by only a few students in the class, with the understanding that there is no human being perfect and also certainly different personality and character, so that unique handling is needed in the ACE program. The level of efficiency is expected to be high in the formation of each student character, because the teacher can know each student’s personality. 1 teacher handles 10 students, so from Ansvin Academy the best quality is applied for the children in the hands of the best teachers. Ansvin Academy also applies the Independent Learning method, which allows children to develop their creativity and initiative. Their mentality will be built in such a way that they become courageous children, not ashamed to ask questions, and able to complete the tasks given to them well. VISION : Prepare students to face global challenges and equip them with the best academic and character to take every opportunity in the future. 1. Organizing and teaching students with full sincerity and high dedication. 2. Educating students with good biblical character and academy. 3. Improve self-discipline for all students and school staff. 4. Guiding and developing students’ talents and interests. Classes in Ansvin Academy consist of K1 – K3 and level 1 – 12. The presence of Ansvin Academy in Batam as a Christian school with character education provides fresh air for many parents’ concerns about their children. Children will be prepared to face global challenges and welcome future opportunities and live life with divine character. Character-based education is much important than just a formal one. I love the system of this school. Hopefully, there will be more similar schools in Batam. Good to know for parents in Batam. Another school to consider ! One of the basic reasons why parent enroll their children in a Christian school is to obtain an education grounded in moral values. Parents realized that education apart from biblical importation is not true education. ANSVIN ACADEMY uses the Biblically based School of Tomorrow curriculum from USA which includes Scripture memory passages and refrences to God and Jesus Christ-all designed to help students develop moral character, a sense of accountibility, and wisdom in their lives. is at the wrong academic level. The level that your child is at, with all things considered, is the level that they should be at. We place children on curriculum according to their ability. Regardless of the student’s ability, the A.C.E. process adapts to the learning speed of your child. This is unlike government schools where the group is lock-stepped regardless of the students academic abilities. A.C.E. allows your child to progress independently through the curriculum and not as a group. State school holds back the faster learner and forces all the students forward regardless of their learning gaps. Individualization allows each student to master a subject before moving on. Such mastery is the foundation for all future learning. Proper academic diagnosis is vital to your student’s success. Students are given a diagnostic test to determine their current academic ability and this clearly identifies any learning gaps within all subjects. For example, your child’s English grammar may be above his/her grade level. However, their punctuation skills may be below grade levels. Your child is then placed on curriculum at his/her academic performance grade level in each subject and the learning gaps are then addressed. Weak areas (gaps) are strengthened first; progressing his/her achievement level. The student learn through setting daily goals and are challenged by making their own work. This key to learning allows the child to visualize and plan their daily progress. This unique discipline of A.C.E. places responsibility and accountability on the student for learning, thus establishing a lifetime appreciation for goal setting and achievement. This is a valuable skill in the workplace. Our graduates often get noted by their employers for their ability to set and complete goals and for their self motivation. The Biblical value of exellence in all things we do is translate into mastering subject content. This is the foudation upon which all future learning is built. A.C.E. reinforces honest achievement that results in advancement. Students must master a minimum of 80% of the material before advancing. With A.C.E.’s method of individualised learning student’s don’t just get by – they get ahead! An A.C.E. Student Convention is a residential competition run over three to five days. Students will gain new skills and confidence as they prepare and participate in these events. The Evening Rallies are a time of spiritual growth and challenge. Student Convention provides A.C.E. students with opportunities to develpo their gifts and talents in a choice of over 140 events in eight different categories: Academics, Art, Athletics, Craft, Music (Instrumental and Vocal), Photogaraphy, and Platform (Speech and Drama). Students users of the A.C.E. program who meet all of the entry requirements listed in the South Pacific A.C.E. Student Convention Guidelines firstly to attend a Regional Student Convention, and then may progress on to South Pacific and International Conventions. In answer to today’s educational dilemma, highly skilled personel at A.C.E. are constantly working on all phases of children development. Drawing on their A.C.E. experience, expertise, and knowledge of how children learn and develop their God given ability to demonstrate the amazing academic excellence. Mudah-mudahan banyak muncul sekolah yang sama kayak Ansvin Academy ini ya mas.